It's Not Work, It's Gardening! : Easy? I overwinter a lot of succulents indoors: agaves, aloes, euphorbias, cactus, and most of them are quite easy as long as they get a little light and are kept relatively dry. 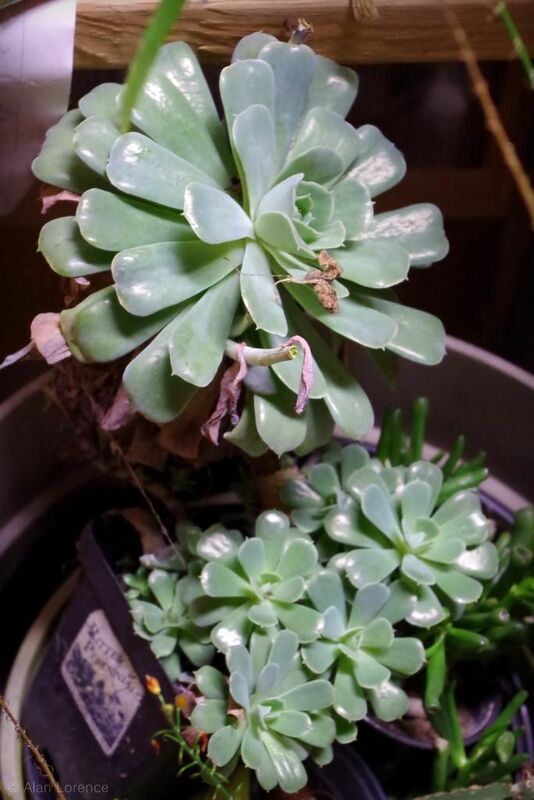 Echeveria too -- I had taken their ease of overwintering for granted until a comment by Loree in her post today saying that her echeveria never last the winter indoors. Strange, because this one I have is so easy! Sure, those shaded ones are not big and happy, but they make great propagation stock for next spring and will turn into the bigger, fuller versions (like their parent) by the middle of summer. So what's your experience with these -- are they easy to overwinter indoors for you, or do I just happen to have one of the less fussy ones? Incidentally, I left one of these outdoors in one of the big deck planters. Yes it had a little bit of ornamental grass covering it, but after the 19ºF (-7ºC) night it appears to be unfdamaged. How cold-hardy are these things? 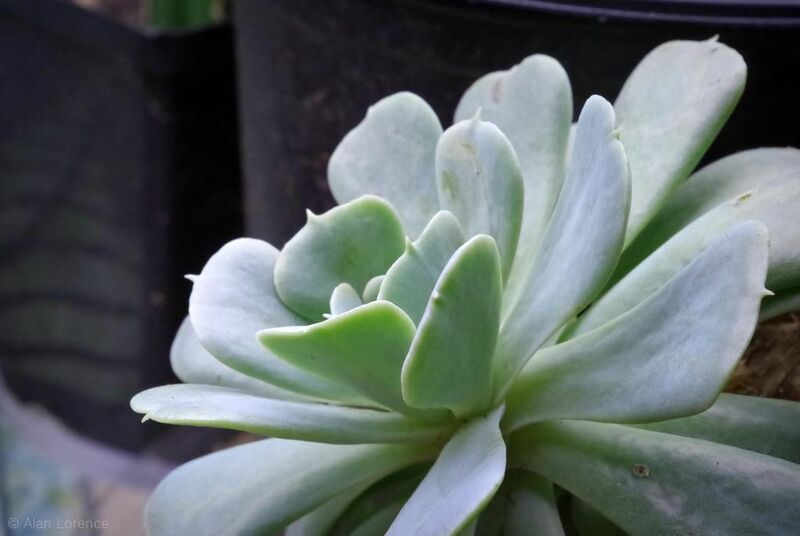 The cold-hardiness of echeverias greatly depends on the species. 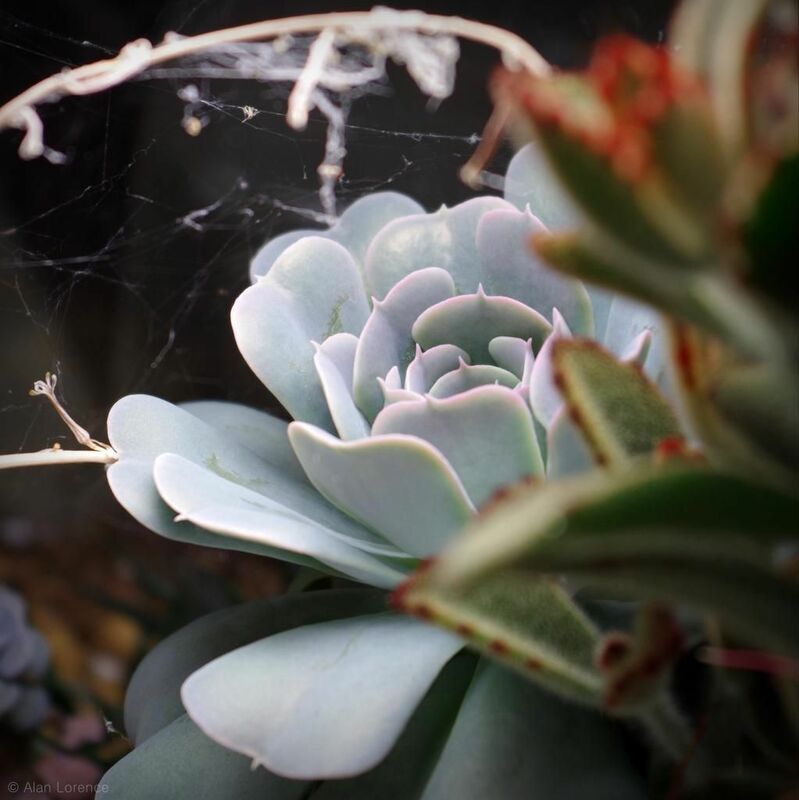 Check out this list from the Cactus and Succulent Society of New Mexico. 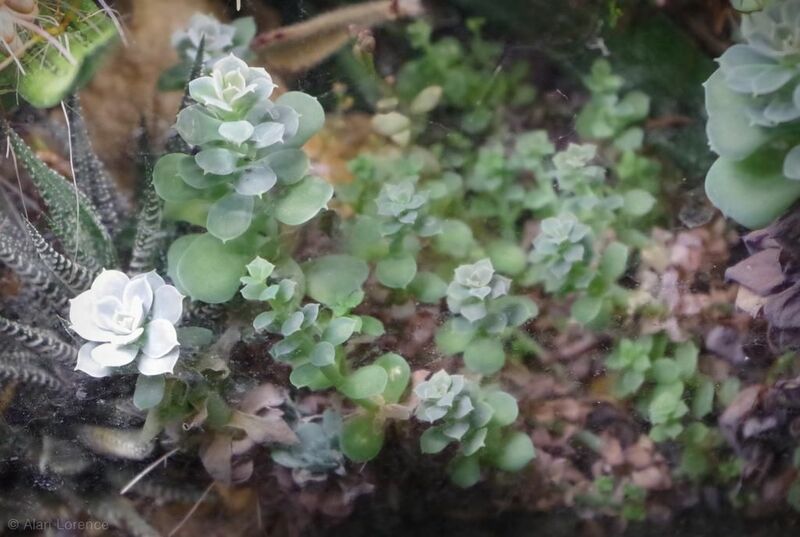 It suggests that these species may be somewhat hardy: Echeveria strictiflora, chihuahuensis, cuspidatata, lilacina, paniculata, shaviana, walpolealna. They're a mixed bag for me inside. Some years they look fine but others they loose a lot of outer leaves, especially if I forget to water them. They tend to grow long stems after a year or so but I cut them off in the spring and plant the top in a new pot. Never tried any outside. Perhaps I should have been more specific in my comment about overwintering issues. I don't like their stems, so anytime they start to reach for the light they're done as far as I'm concerned. I never actually have them die on me, but I end up tossing them because the growing tip gets so small. Also it's just the species that I pictured that I have that issue with. I've been over-wintering a couple of Echeveria 'Perle Von Nürnberg' for years now, and they do fine, along with E. agavoides 'Lipstick'...it's a good one too. Loree: thanks for the clarification. I always thought that the stems were a normal occurrence, regardless of the amount of light received. Ah...good point! Thick "woody" stems below the leaves = normal and natural...thin stems within the leaves = reaching for the light in an unhealthy state.